Making Inroads . . .
A worker in Austronesia tells of how the disciple making process is changing lives. Chad has been enjoying getting to know “D” through their mutual work for the last several months. 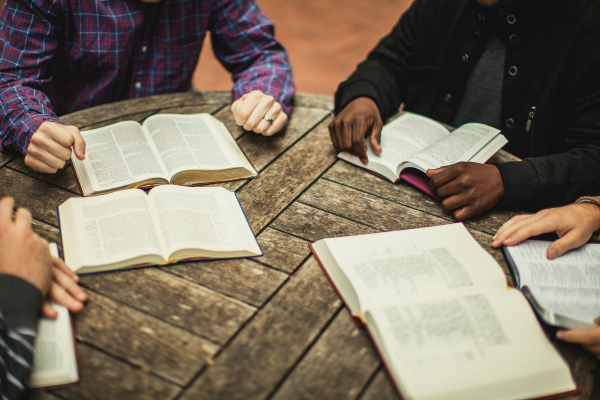 Diving into the Word together using Discovery Bible Studies(DBS), the men discuss how they need to be focused on lining their vision up with God’s Kingdom and his purposes for the surrounding areas and people. So when “D” shared that he planned to use his Discovery Bible Study tools when he spent some vacation days in an area his family is originally from, Chad helped him select several studies so he’d be prepared. The first night D spoke with a man, Aziz, a broker, about the parable of the sower and the seeds. Feeling uneasy because of the powerful message, Aziz suddenly began sharing that he often “played with the numbers” to earn more in sales from his customers. Through D, God’s word brought about a conviction that made Aziz feel uneasy about his dishonest ways. D also shared the gospel story of the Pharisee and the tax collector in the temple (Luke 18:9-14) with Panuta while in this village. Panuta is a coffee farmer in his 60’s who was struck by God’s acceptance of the humble tax collector. Crying, Panuta confessed that, though married, he had been involved in many affairs. Wanting to distance himself from these women and his sinful actions, Panuta burned items of clothing he had collected from the various encounters. Encouraged by seeing God’s powerful word at work and wanting to continue the growth of these two men, Chad and D are now looking for reasons to keep returning to this village. A business connected to the coffee trade would be most likely. When you drink your morning cup of coffee or drive past a coffee shop will you be praying with Chad and D for the right inroad into this village and the hearts of those who live there?